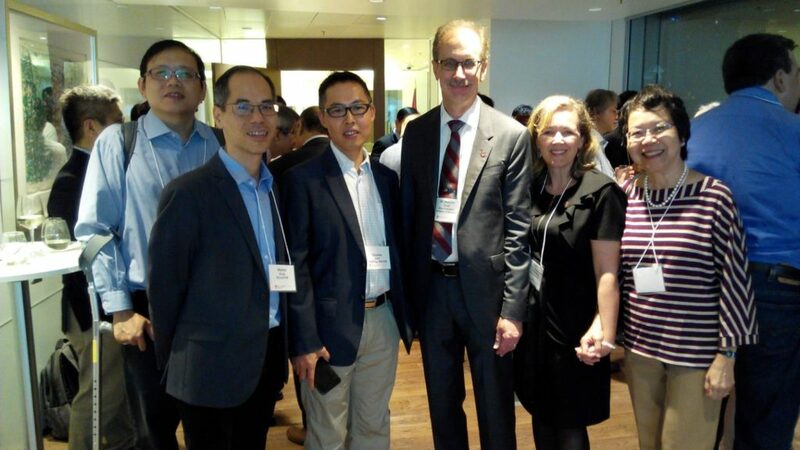 Dr. Harjeet Bhabra, the new Dean of Sobey School of Business, paid his first visit to China together with Erin Sargeant Greenwood, Vice President of Advancement, as well as Dr. Malcolm Butler, Vice President of Academic & Research in November 2018. 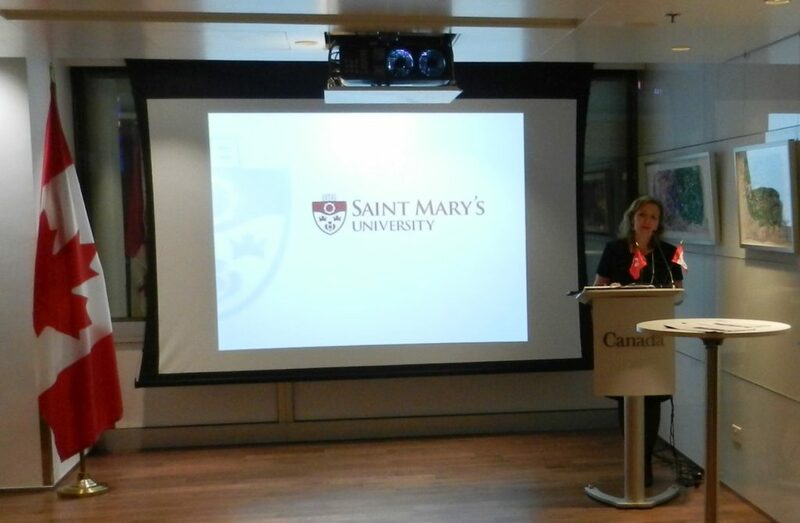 Saint Mary’s University was kind enough to host a cocktail reception on Tuesday, November 13 at the Canada Room in the Consulate General of Canada office in Central for meeting SMU alumni residing in Hong Kong. Erin Sargeant Greenwood, VP of Advancement, acted as the MC of the evening. 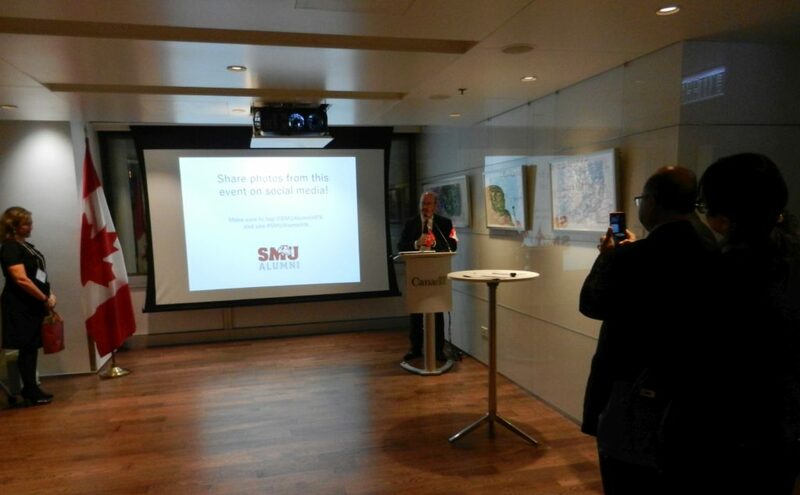 Mr. Jeff Nankivell, Consul General of Canada in Hong Kong and Macao, was invited to be the guest speaker of the reception. 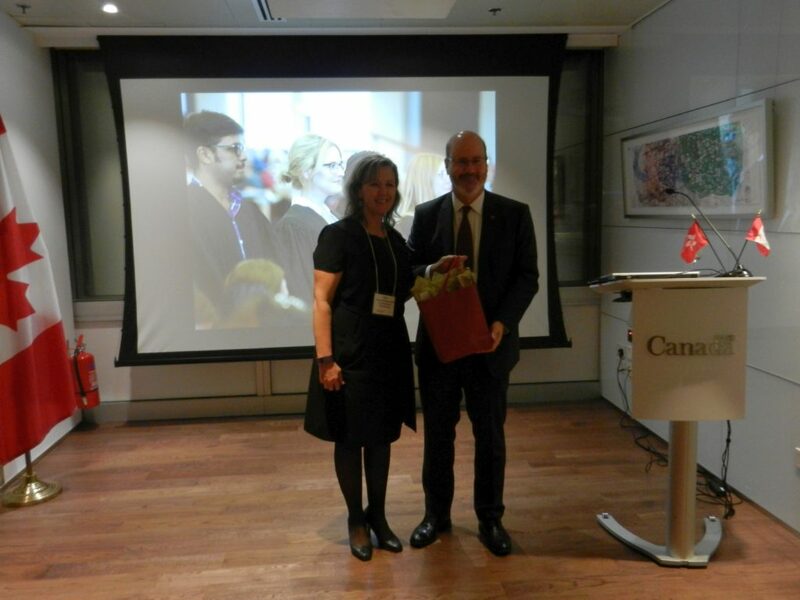 Erin Greenwood expressed our gratitude by presenting a souvenir to Jeff Nankivell. 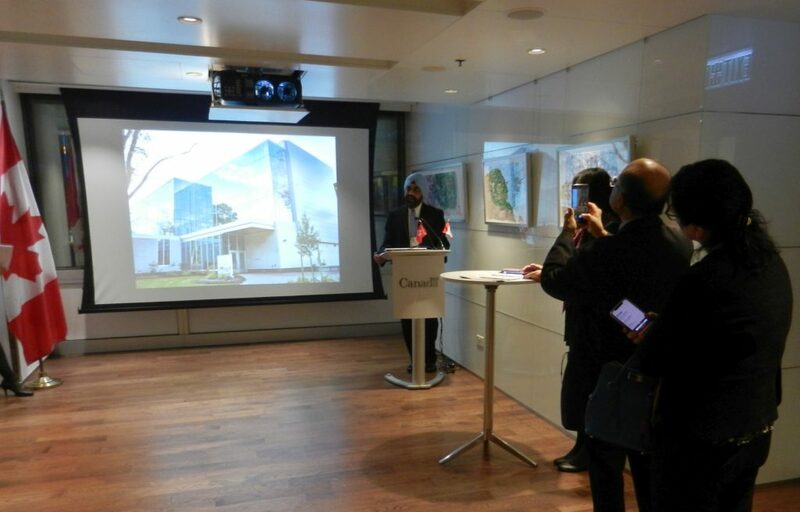 Dr. Harjeet Bhabra delivered his keynote address for the first time in Hong Kong. 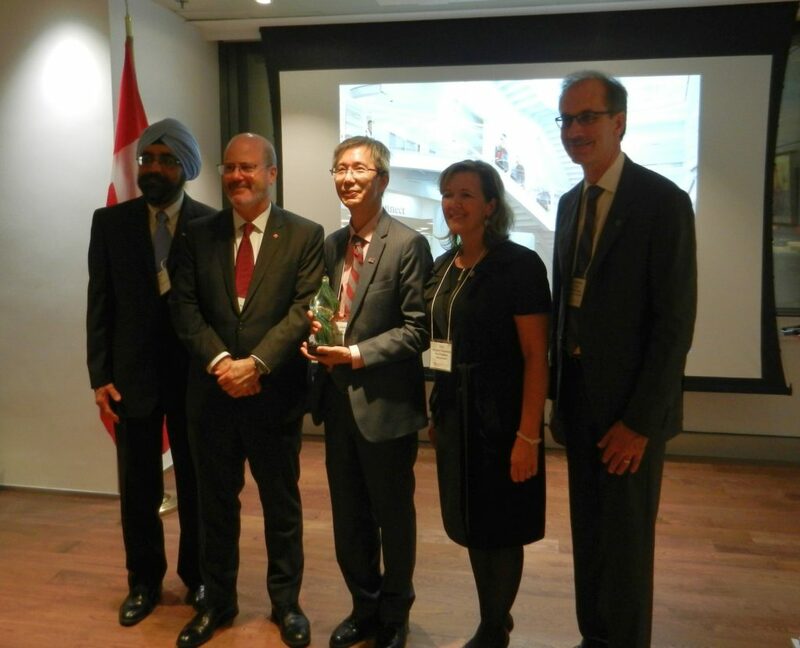 Dr. Harjeet Bhabra, Mr. Jeff Nankivell, Erin Greenwood, Dr. Malcolm Butler congratulated Jimmy Ho to be the recipient of Paul Lynch Volunteer of the Year Award. Hugh MacLean, currently working in Macao, got a pair of Huskies socks in a lucky draw. 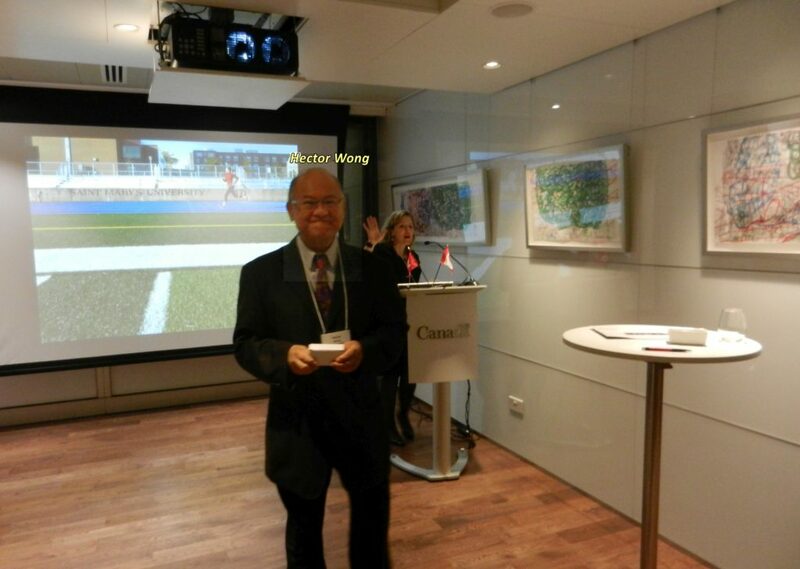 Hector Wong received a souvenir in a lucky draw. 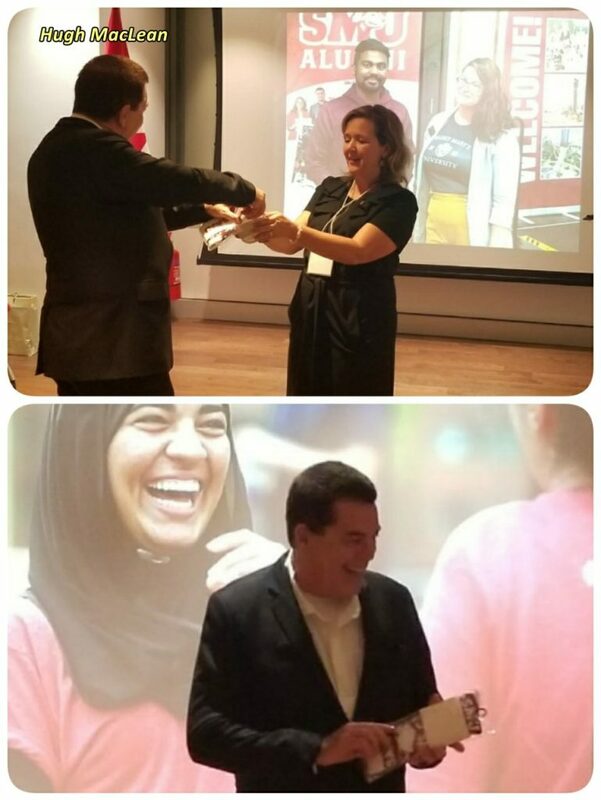 Many thanks go to Ms Gloria Wu of the Consulate who greatly helped organize this event. 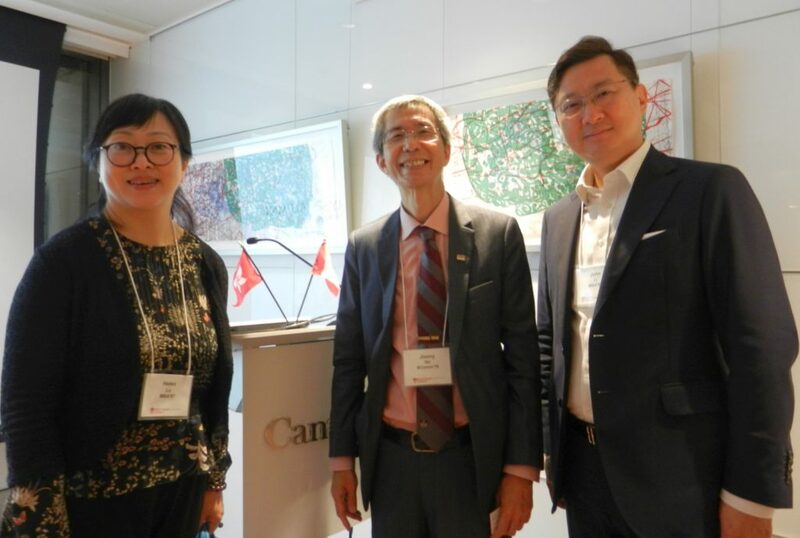 Originally from Beijing, Mr. John Li (right) and his wife, Helen Lu (left) are now working in Hong Kong upon graduating from SMU MBA program. 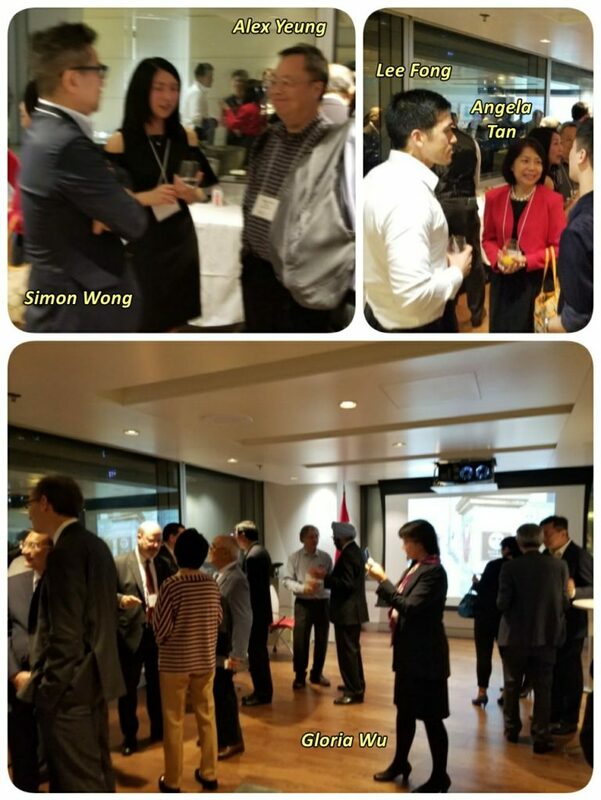 It was a great success, as we had 100% of registrants attend the event.